Zagreb, the cosmopolitan and cultural epicentre of Croatia, is also the country’s northwestern capital city. 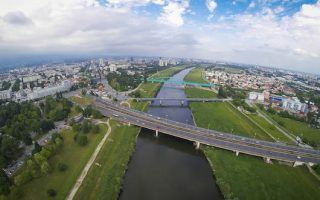 It is located on the banks of the Sava River and is known for its Austro-Hungarian architecture, pedestrian friendly squares and streets full of cafes, boutiques, and restaurants. 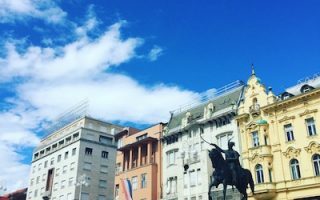 While it is often overlooked by travelers wanting to just experience the Adriatic coast, the city offers so much to do: from historical sights, festivals, events, and nightlife to parks, forests and lakes (Zagreb also has more museums per square foot than any other city in the world). Zagreb has two main areas: The Lower Town has more of an energetic and busy vibe with plenty of restaurants, banks, bakeries, and shopping options, while the Upper Town contains red roofed homes, winding cobblestone streets, charming cafes and wine bars, the Gothic Zagreb Cathedral, and 13th-century St. Mark’s Church. There are some great options for running in Zagreb. Our ‘runseeing’ tour covers some of the most important sites in Upper and Lower Town. 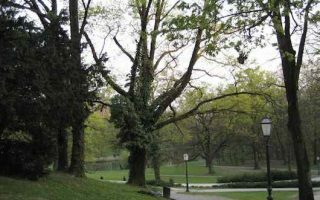 Enjoy a 5 km tour of Maksimir Park, the oldest park in southern Europe. There are ~5 km of paths along the Sava River, including the lovely City Park. Lake Jarun is another popular running spot, and for some scenic hill running, head to the Tuškanac & Pantovčak neighborhoods or the trails of Dotrscina woods. Our thanks to primary author Lana Bukvic, a runner who has been living in Zagreb. Zagreb is very pedestrian-friendly, and there’s a good tram and bus system. Classic ‘Top sights’ of Zagreb route, which covers many of Zagreb’s cultural and historic attractions of the Upper and the Lower town. 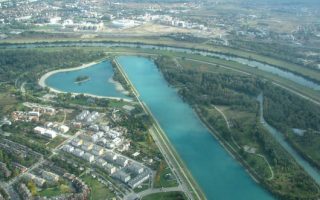 Multi-use paths run along both sides of the Sava River, connected by a series of bridges. The southern side includes a nice section through City Park. Water views for a good part of the route. Only a 10 minute tram ride from the city centre and home to the City Zoo, Maksimir Park is heaven for runners, with its zig-zagging paths among tall green trees, small lakes, ponds, and meadows. A tour is ~ 5km. The run around Lake Jarun, located about 5 km southwest of the city centre, is one of the prettiest in the Zagreb area. A good network of multi-use paths and other recreation opportunities. Can easily put together 10-15 km of open, waterfront running. Close to the city centre of Zagreb, this is a hilly 10km route through the upscale residential neighbourhoods of Tuškanac and Pantovcak. You'll pass by hilly Cmrok Park, numerous embassies, consulates, and museums. 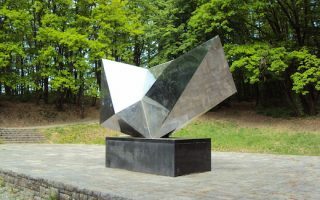 Important WWII memorial just northeast of Zagreb center also has a shaded, hilly trail for running. A good option for a hot day. It's mainly 3 km steadily uphill, with a 500 foot gain and grades up to 7%. 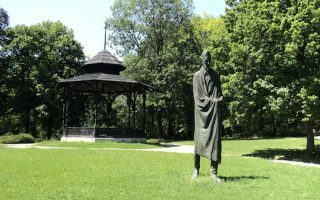 Zagreb has continental climate which means crispy cold, sub-zero winters with a good prospect of snow, and warm, humid summers. In summer, average high temperatures are 27C (81F), with mild nights. In winter, average high temperatures are just above freezing, while low temps dip below freezing. Spring and autumn weather is usually a mix of rain and sunshine. It can snow plenty in winter, so make sure to bring appropriate clothing. Run Croatia is an excellent resource. They have running groups and host numerous races throughout the year. Run Croatia is a great resource on all things about running in Croatia, and has upcoming events on their website. The Run&Trek store website also has good listings of some signature Zagreb running events. Zagreb Marathon. Taking place each year in October, this international race has been held for over 25 years and attracts thousands of runners from around the world for a 10k, half marathon, and full marathon. Advent (Christmas) Run. December. A wonderful charity race through the heart of Zagreb.